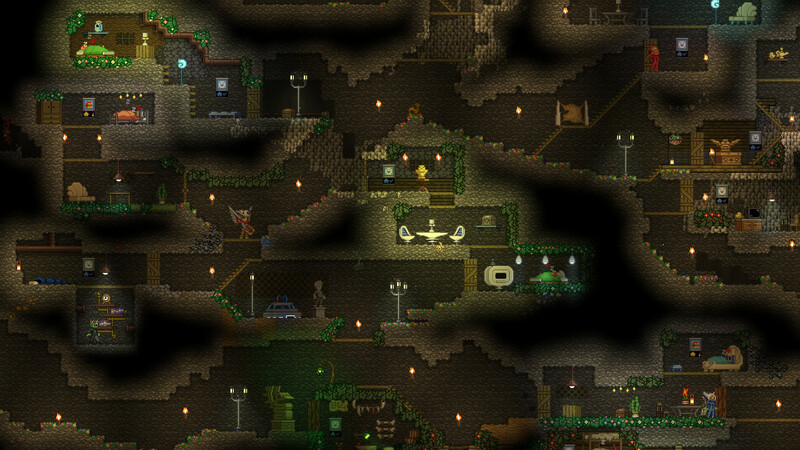 Starbound is getting a new update that will allow for player created space stations. Using a snap module, players will be able to pick from a selection of different options to craft their very own home away from home. You'll start the process by launching some probe into space which then generates a spacebox with a teleporter. From there, you just get your Sims on and decorate to your heart's content! Along with space stations comes player created mechs! That sounds awesome as hell. Not much is mentioned about that, but I'm sure it will work similar to how space stations are crafted, just on a much smaller scale. Developer Chucklefish is also working on fleshing out interplanetary activities so that the game more readily lives up to its name. Sounds like good stuff and it makes me more intrigued by this game. There isn't a release date for the planned 1.3 update, but seeing as how Starbound has been receiving generous updates for years, I doubt most players will mind waiting a bit longer.